Since its inception in 1975, the phenomenal journey of Invest Bank, in the UAE, headquartered in Sharjah has made a remarkable headway in all spheres. With strong fundamentals the Bank continues to steadily progress under the leadership of its astute CEO, Mr. Sami Rached Farhat who has been with the Bank for 41 glorious years and its time honored Board members. Sami opines, “We at Invest Bank aspire to be the Bank of choice offering exceptional personalized service to our valuable clients creating partnership bond beyond loyalty. Invest Bank is a niche, premier, boutique corporate commercial bank and are gratified of our renewed commitment to creating value to our shareholders, beating all uncertainties. 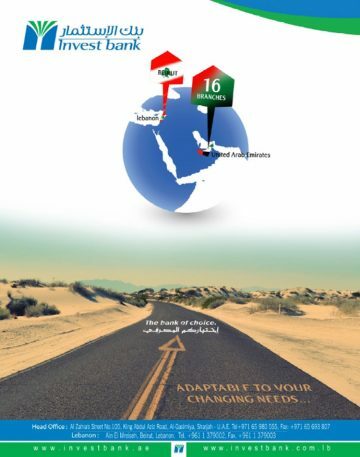 Starting with the financial resources of AED 10 million in 1975, Invest Bank’s capital has augmented to AED 1.6 billion with shareholders’ funds exceeding AED 2.8 billion. The surge in capital, enriching value to the shareholders has been boosted purely through a build up without the shareholders having to underwrite or fund the capital growth. Bank management’s proven abilities to rise above uncertainties and challenges are demonstrated by the Bank’s growth from a small financial institution to a diversified, full-fledged, robust Bank providing a wide range of corporate and commercial banking services, with impressive growth results. 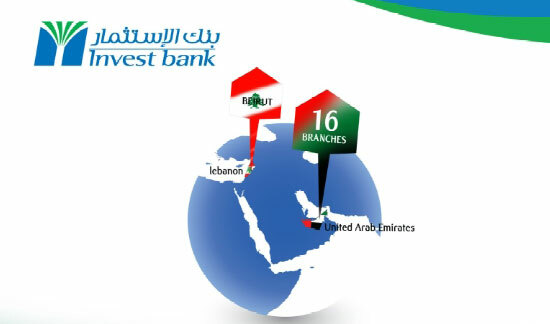 Bank’s marvelous journey, and capabilities in facing the challenges and adapting to many economic volatilities namely the recession of the late 70’s / early 80’s; the Gulf war in the early 1990’s; financial crisis of 2008, the hacking/ransom incident in 2015 has strengthened the Bank. Experiencing these ups and downs, has positioned the Bank with resilience in advancing and expanding Bank’s competencies. The way the Bank has weathered each of these events, is what sets the Bank apart; making its history and trajectory strikingly majestic. Initially established as ‘Investment Bank for Trade and Finance’, a change in name in late 1999 to Invest Bank – reinforced the Bank’s Strategy of its commitment to customer service, nurturing lasting partnerships with its customers and international partners, whilst not losing focus on its predominant activities of project, trade and working capital finance by remaining a Corporate Commercial Bank. Its strength lay in its strong belief in remaining within its nucleus of Corporate Credit without spreading its wings into mass retail, long-term mortgage finance, hybrid derivatives, investments etc. This strategy has provided the safety net in braving the turbulent market disturbances and aided in taking the bank forward with its accomplishments. It is also a testimony that Bank’s ratios have consistently remained strong and re-affirmed its status as a Bank to reckon when it was recognized for three consecutive years by Darien Middle East (DME), Financial Market Analysts of London, as the Best Performing Bank in the GCC. The jewel in the crown for the Bank was when it was caught by surprise at the announcement that Invest Bank remained on top, No. 1 position for two consecutive years in 2013 and 2014 and this news of holding the top position for two years was overwhelming, leaving the Bank and staff astound but with profound gratitude to all its stakeholders. The Bank receives strong support from the Chairman and the Board and its senior management in pursuit of Bank’s philosophy of ethical banking, which gives the bank good credibility while it expands its assets and liabilities. Sami has also become a strong voice advocating ethical and meaningful business practices at UAE Bank Federation (UBF) and amongst other banking forums. Last 10 years financial institutions, have witnessed significant advent of international regulations and Sami is cognizant with the evolution and transformation of the banking sector, who recognized the need to change and evolve in line with best practices early on. This viewpoint was strongly aided by the UAE Central Bank’s and Ministry of Finance’s initiatives in driving the Banking and Financial Sector to gradually move towards adopting and embracing the modernization and change. Bank has believed in developing frameworks to act as a catalyst for change, encourage risk culture and promote sustainable growth via good governance. (c) delivering on our pledge to upgrade the skill sets of our prized human resources. Transparency is another theme that has defined CEO’s efforts towards building Bank’s core principles and is characterized by responsibility and integrity in Bank’s dealings with all its stakeholders.